People who need to manage chronic medical conditions, such as diabetes and COPD, need to take prescription medications. Unfortunately, prescription drugs can be expensive. Everyone is always looking on how they can save money on prescription drugs. A Washington Post article reported that costs for prescription drugs soared over 10 percent in 2015. The good news is that there are solutions for consumers to get the prescriptions they need without costing an arm and a leg. If you want to get the prescription drugs you need for less, check out these money-saving strategies. When you visit your doctor, don’t be afraid to bring up the idea of getting free prescription drug samples for your condition. Some pharmaceutical representatives provide drug samples for doctors to dispense to their patients. So, the next time your doctor is writing a prescription, don’t hesitate to ask if he or she could provide a few samples you could try. On top of asking for samples, see if your doctor can provide you discount coupons for the prescription medications you need. Drug manufacturers sometimes give doctors discount coupons. Many doctors, however, forget or ignore the coupons they get. So, take this time to remind your doctors of any coupons that he or she could give to you. If your doctor has no samples or discount coupons to give to you, the next step is to ask your doctor if the prescribed drug has a generic equivalent. Generic medications contain the same active ingredients as their brand-name counterparts. Cost is the only real difference here. If the medication that the doctor prescribed to you isn’t new, look for a generic equivalent. Remember that there’s often a generic version of any medication that’s been on the market for quite some time. Ask a drug company to find out if it offers an assistance program for your medication. Many manufacturers of prescription medications that do not have generic equivalents provide programs through which they sell the drug at a reduced price. 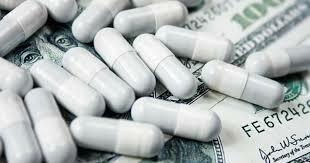 Some firms purchase prescription drugs directly from drug manufacturers and sell them to people at a lower price. This can help you save money. See if you can find online companies with a license to distribute medication to your state directly and ship the prescription straight to your house. According to a study conducted by a team of researchers from the University of Southern California (USC), drug prices were lowest at independent pharmacies and when using discount coupons. Additionally, medications were less expensive in lower-income areas. So, before you fill in a prescription, make sure to call around to get the best deal. Alternatively, you can go to websites that show you what the drug prices are at various locations. If you’re still having a hard time getting the prescription medications you need at a lower price, search for organizations that offer a prescription assistance program. A great company you can consider is The Rx Solution. We have a range of prescription assistance programs for individuals with low income. Count on our team to help you apply for the program that suits your needs. We want you to receive quality medication for less and save money on prescription drugs.